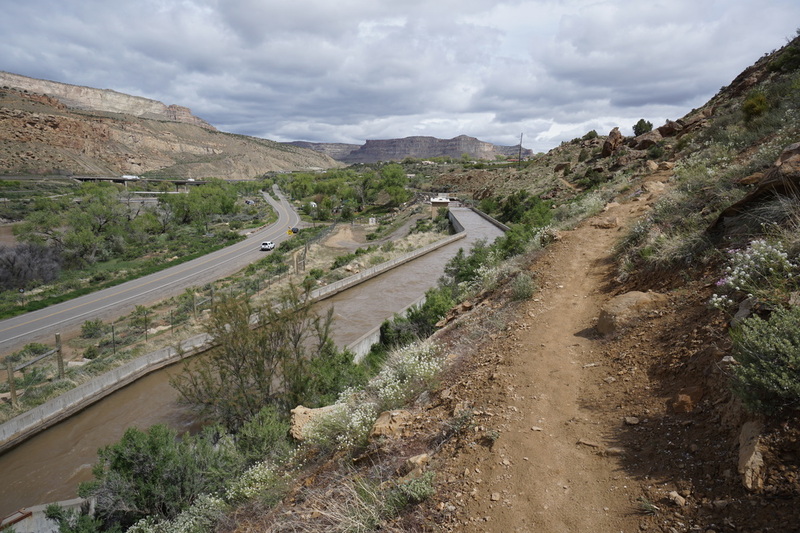 Directions: The trailhead is located at a boat launch along the Colorado River south east of I-70, south east of North River Road (Hwy 6), and west of G Road. 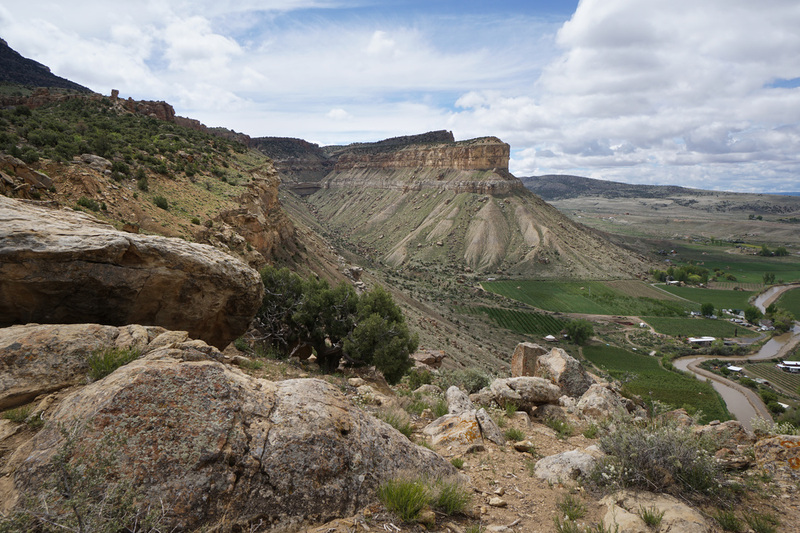 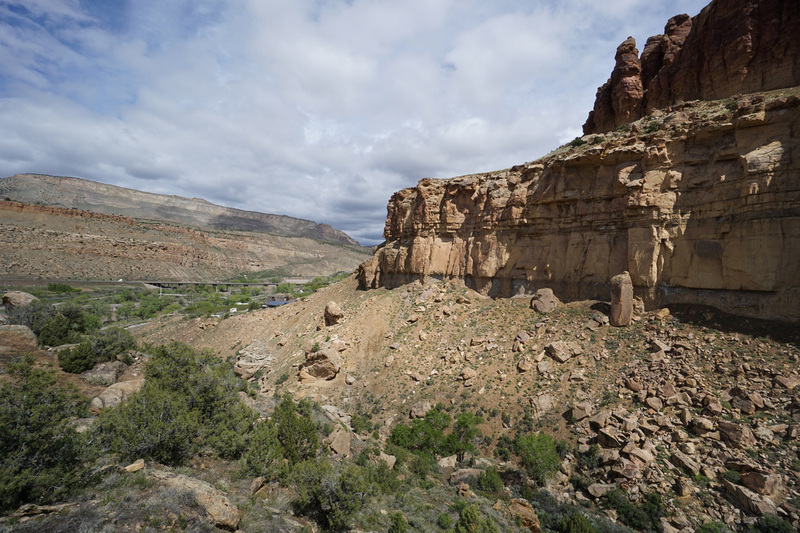 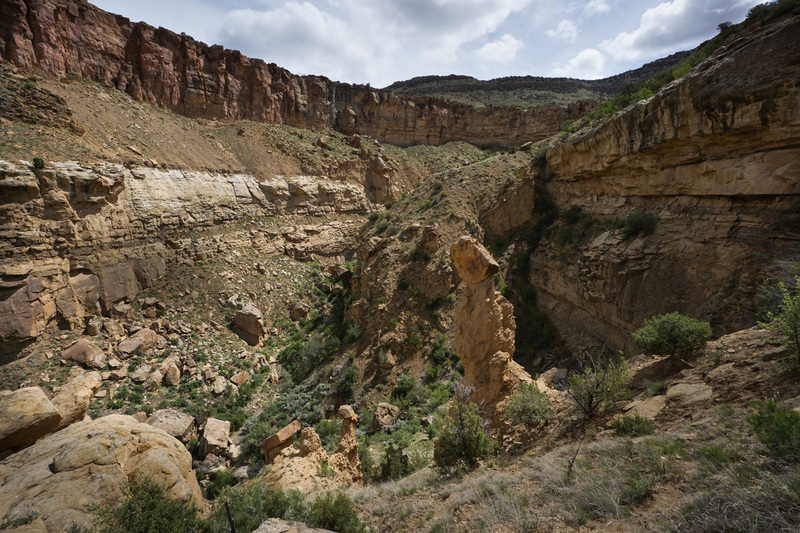 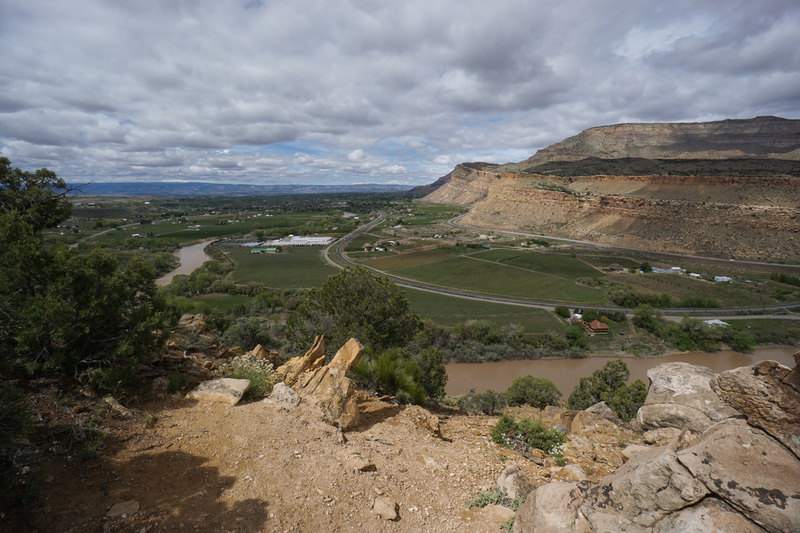 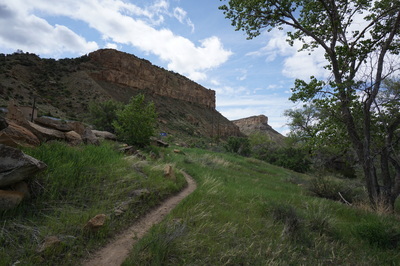 ​From I-70 heading west into Palisade, take the first Palisade exit and head south on G Road hugging the cliff side. 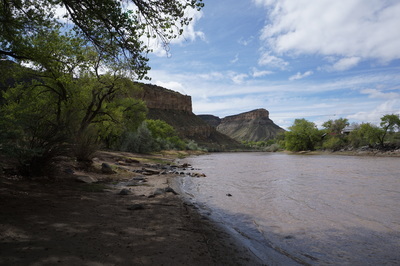 The parking area will be on your right just after the second road crossing the river. From Palisade, take 8th Street east from downtown, cross the Colorado River and continue for about 10 minutes. 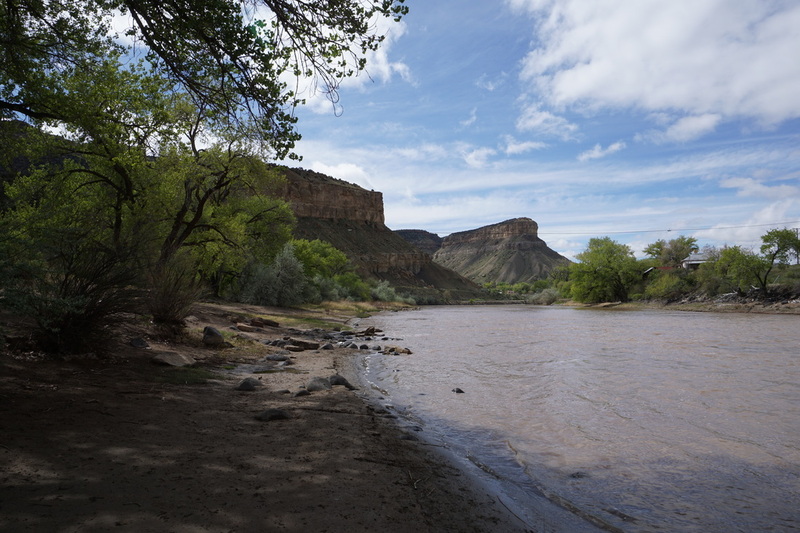 Keep looking to the left for the obvious parking area along the river. 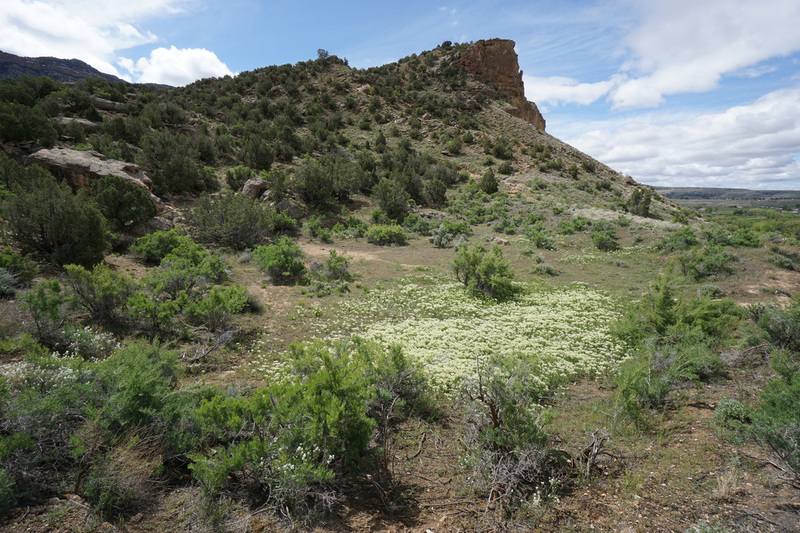 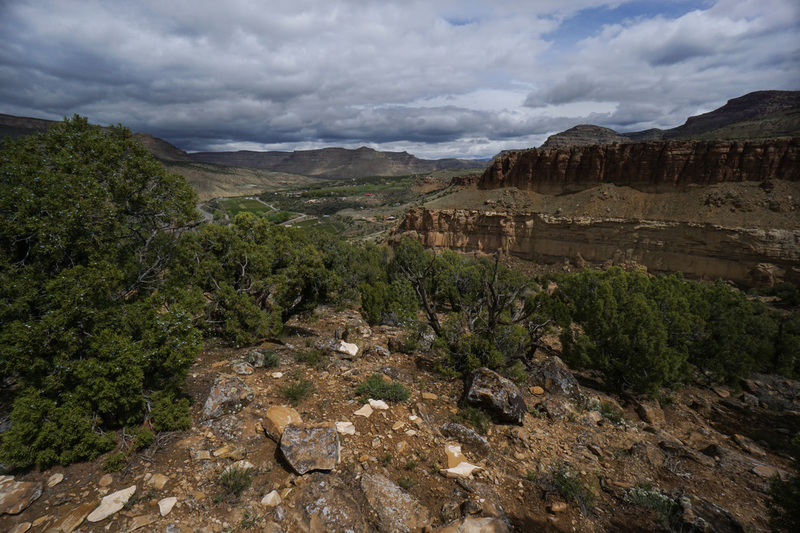 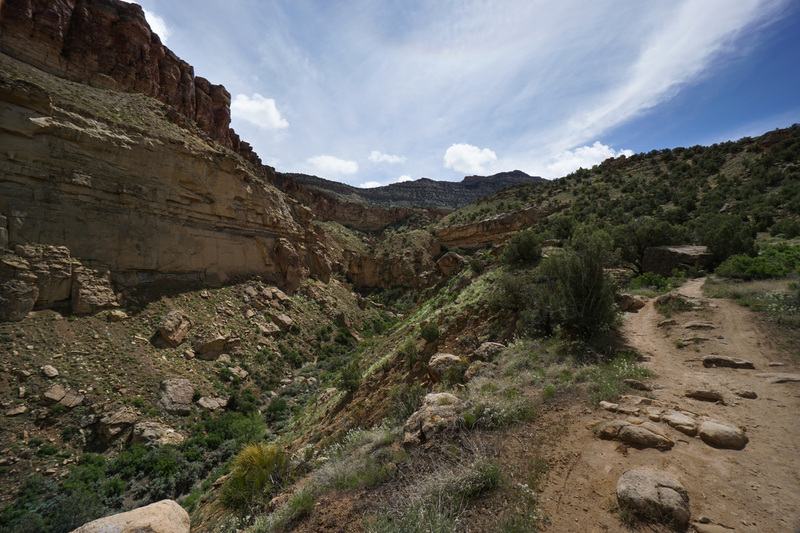 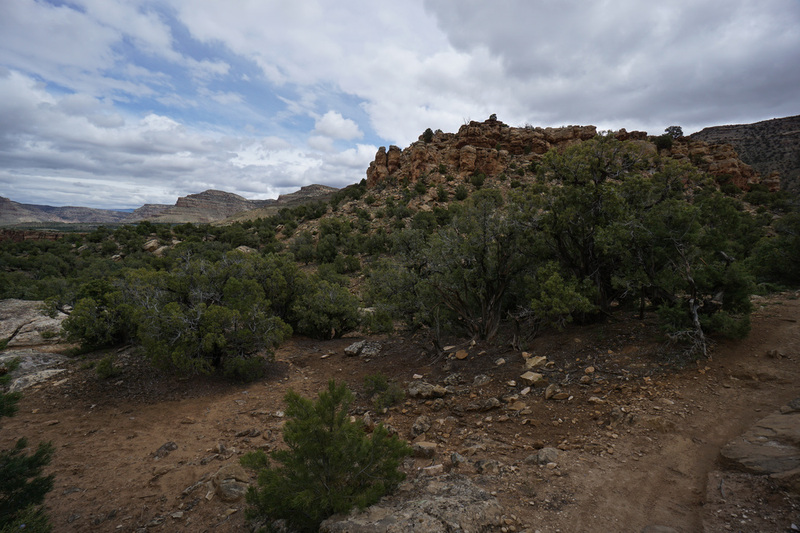 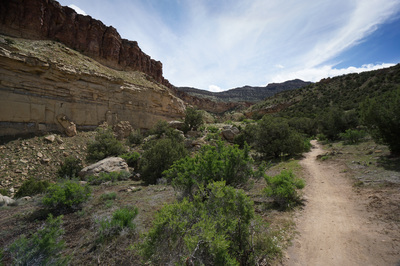 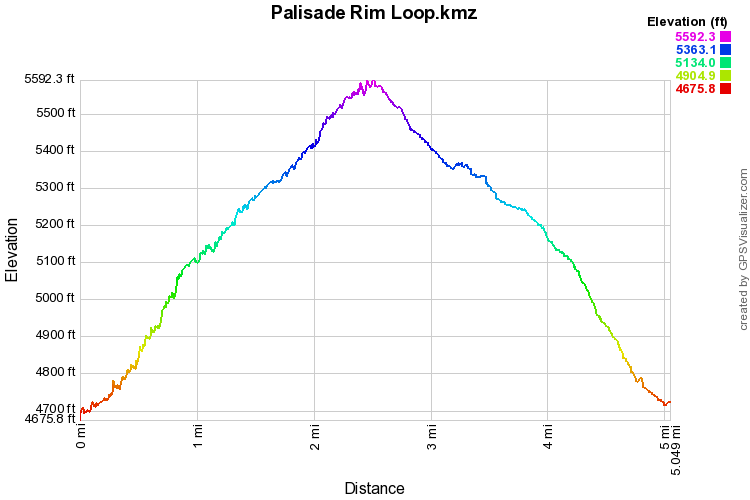 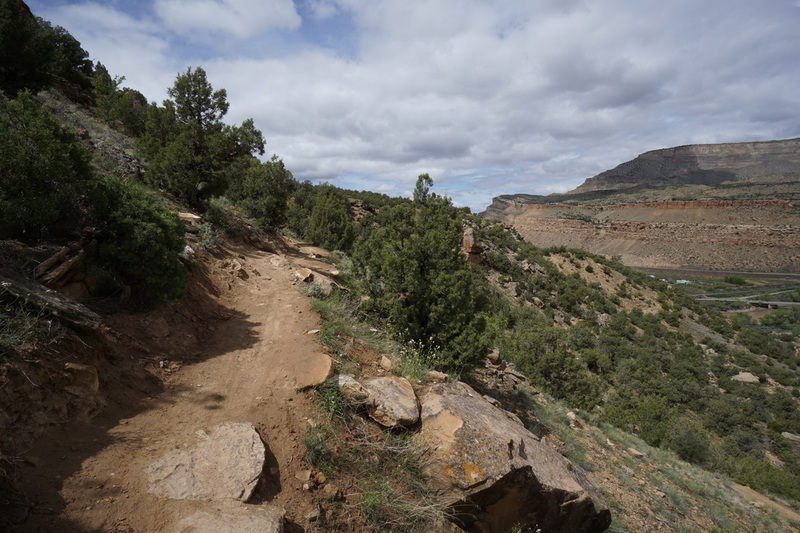 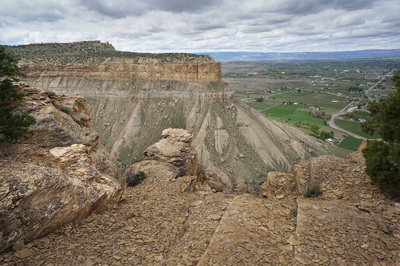 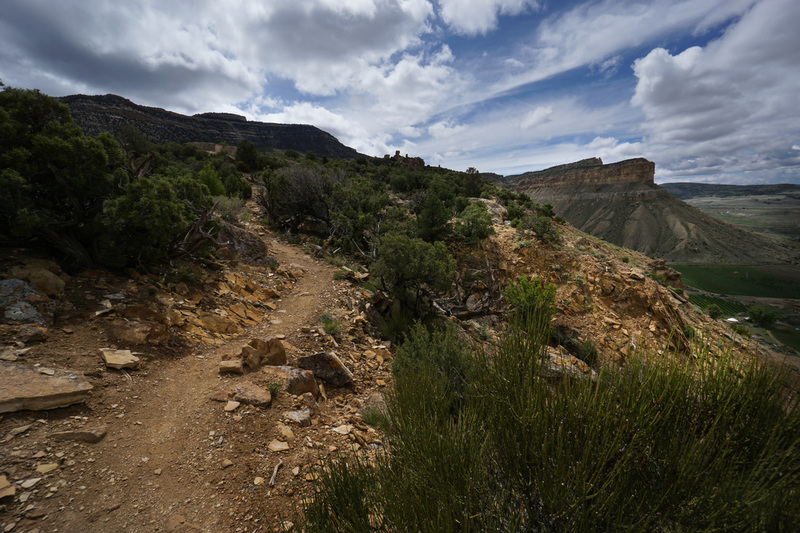 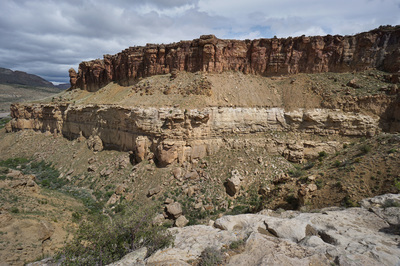 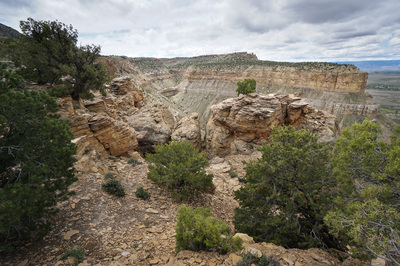 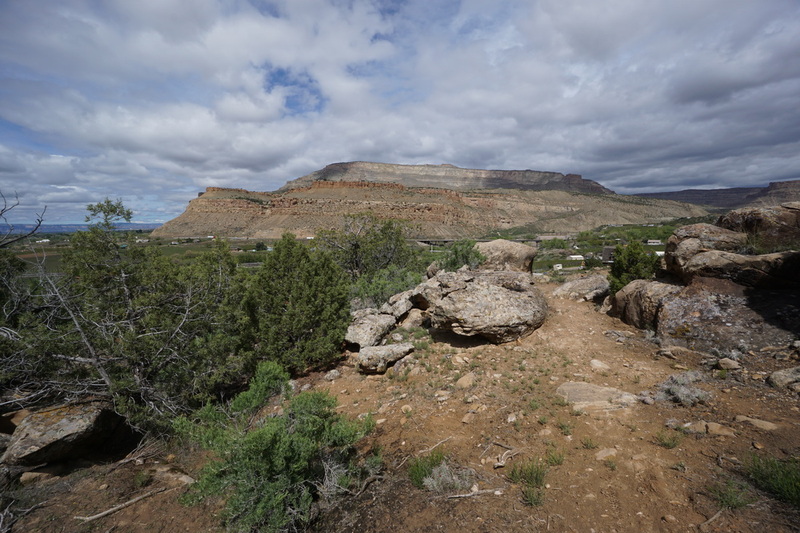 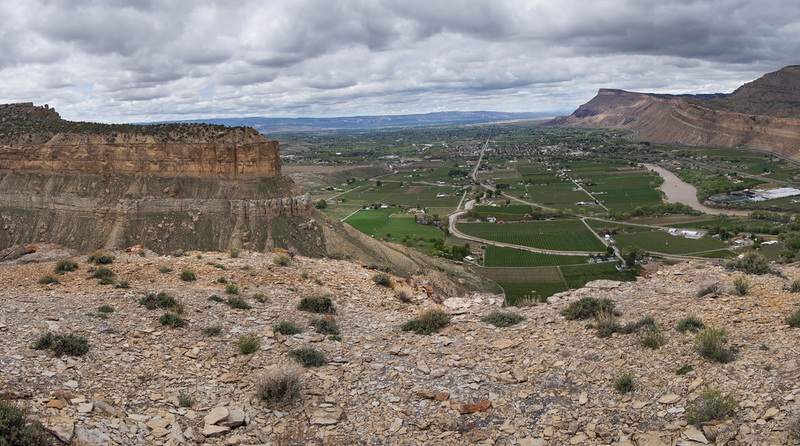 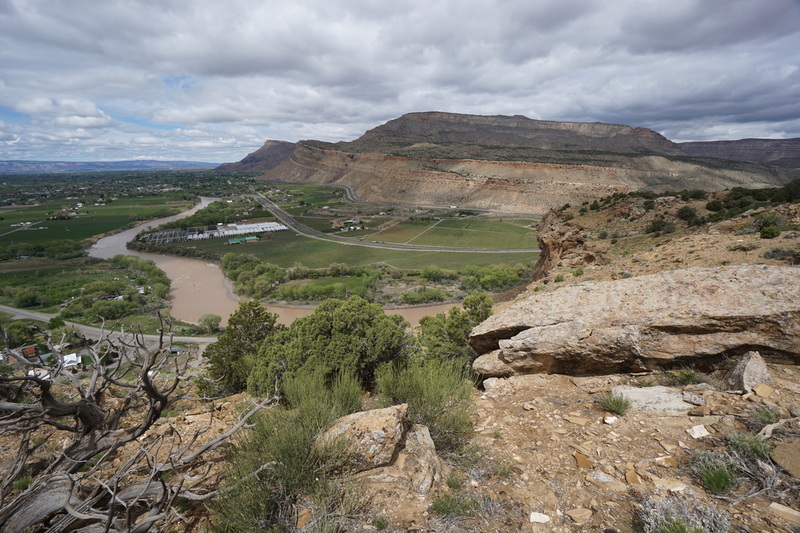 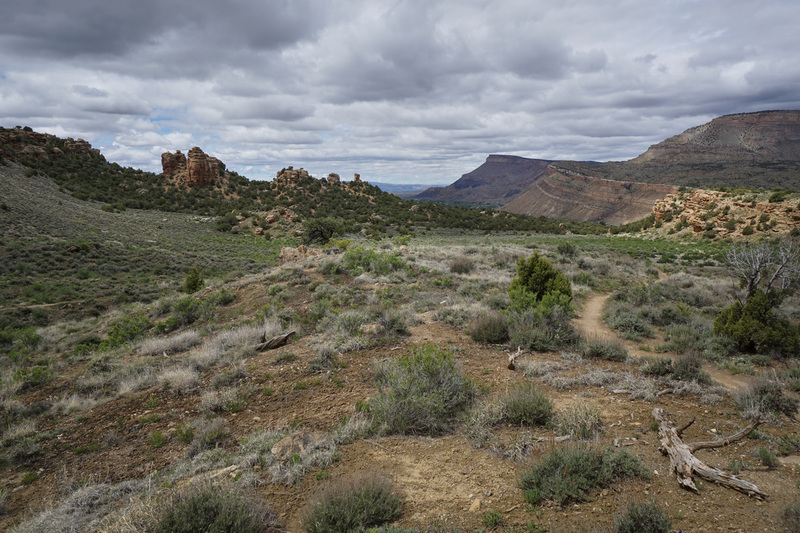 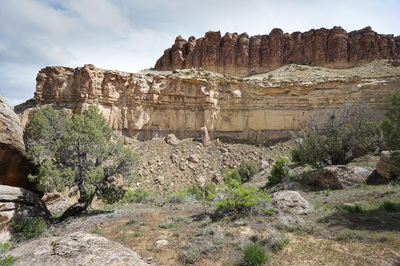 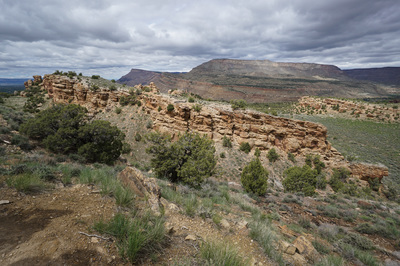 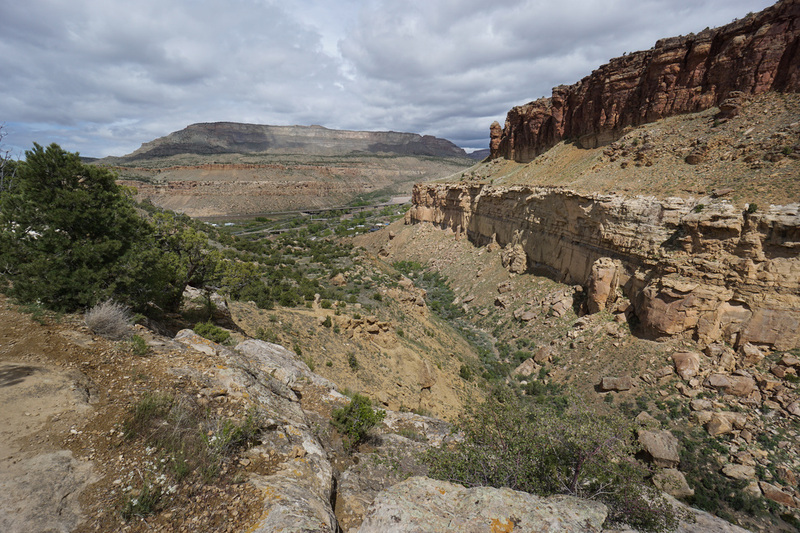 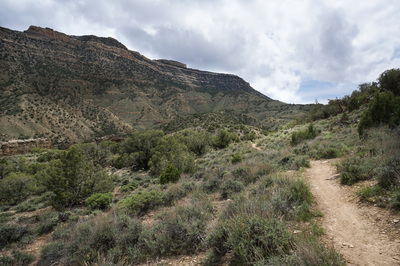 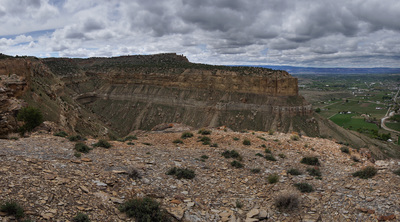 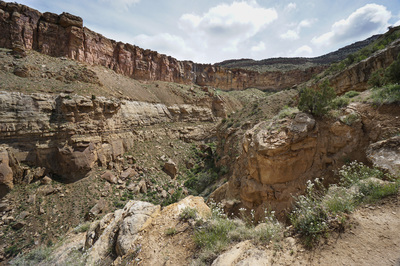 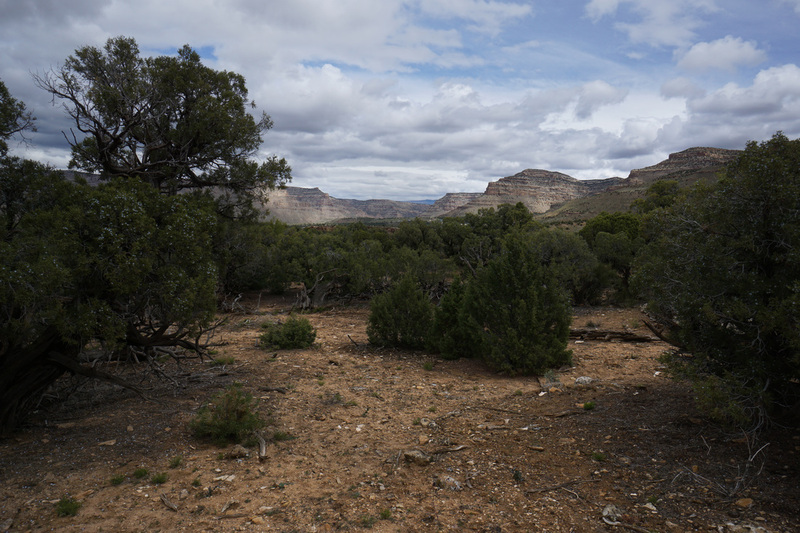 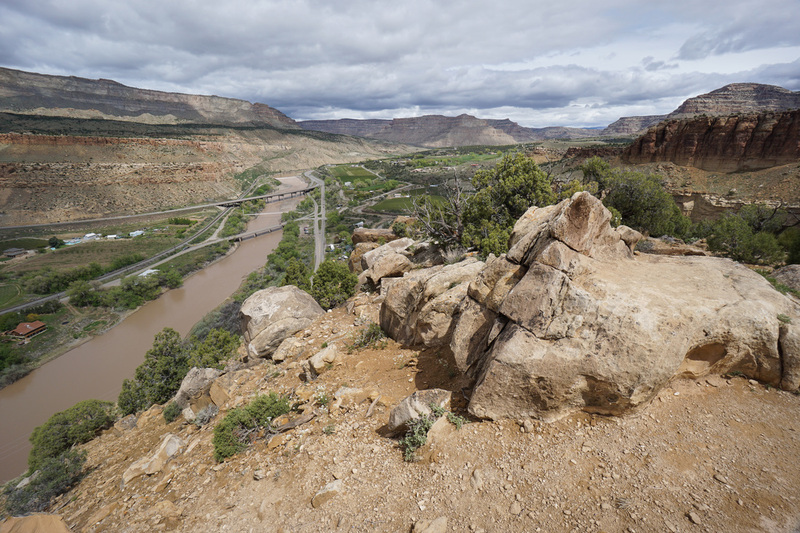 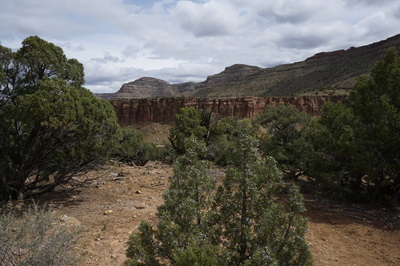 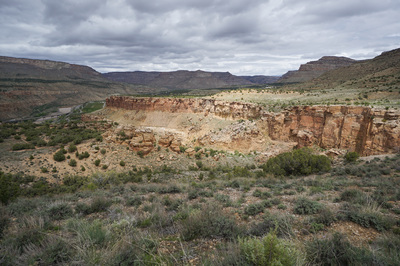 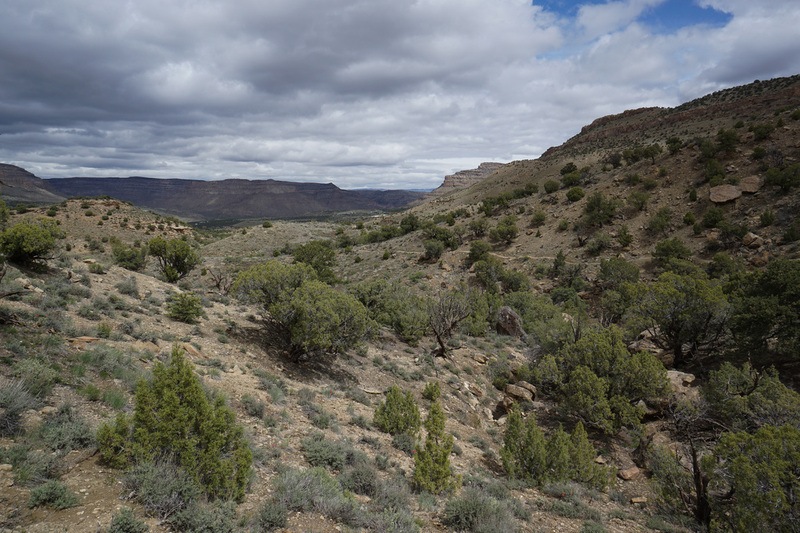 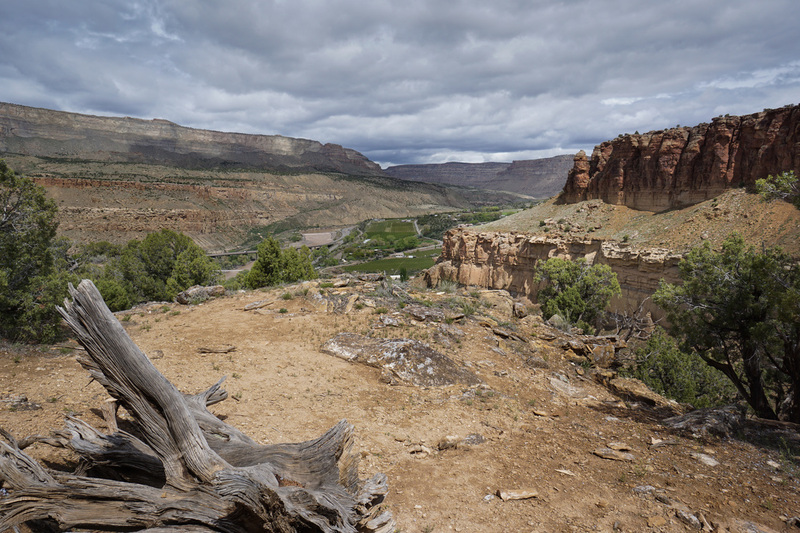 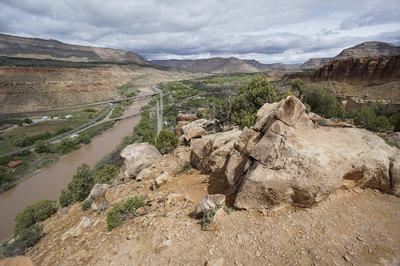 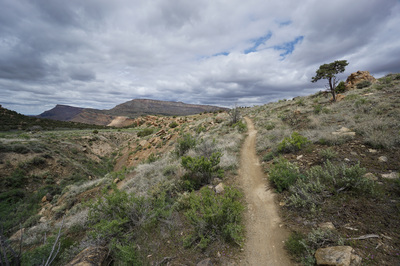 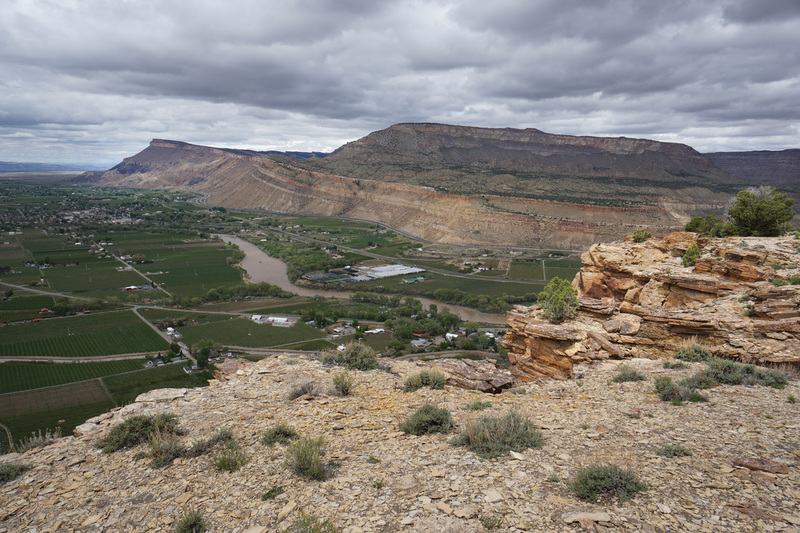 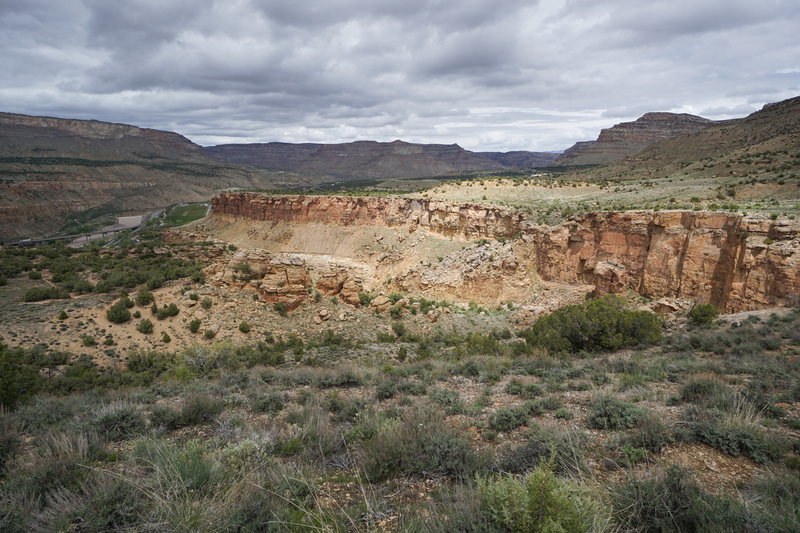 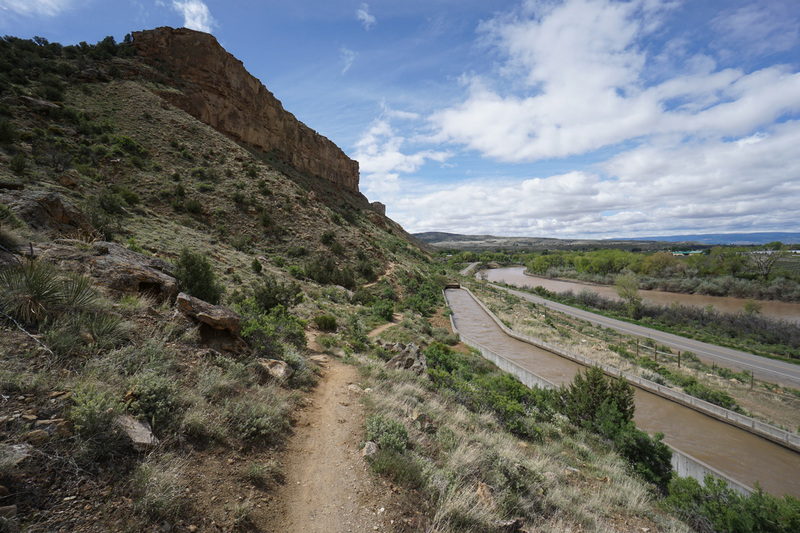 The Palisade Rim Trail is popular hiking and biking trail just east of downtown Palisade. 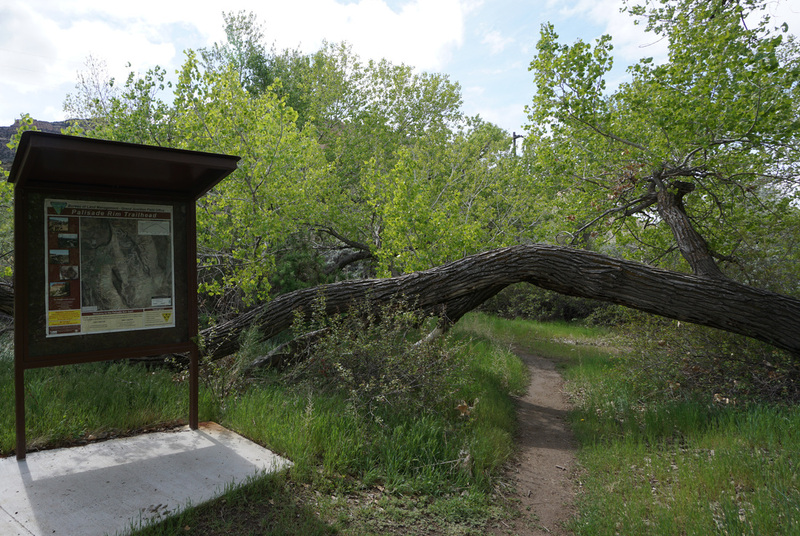 The trail is made up of two well maintained loop trails, the lower and the upper loops. The entire trail is about 9.5 miles, while the lower loop is a little under 4 miles. 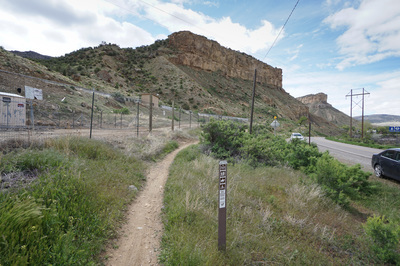 This hike includes the connector for the upper loop for a 5 mile hike. 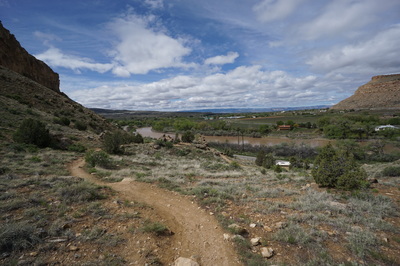 The scenery and views from this trail are phenomenal making it a must do hikers living in or visiting the Grand Valley. From the trailhead along the Colorado River, follow the narrow path at the south end of the parking area to the actual trailhead and information sign, duck under the large tree crossing the path and follow the trail as it crosses the road and picks up the trail under the irrigation canal and fence. 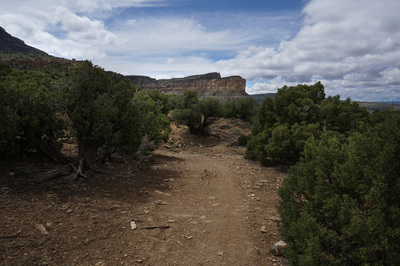 From here the trail weaves its way up the canyon wall, into a rocky and majestic side canyon, and finally up to the rim of the mesa. 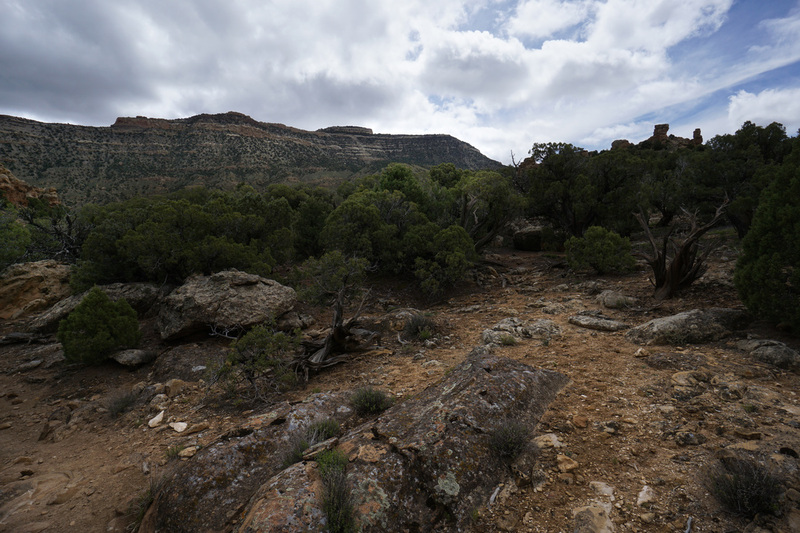 The views are intimate and wondrous while you hike through the canyon but open up to the entire valley once you summit the mesa. 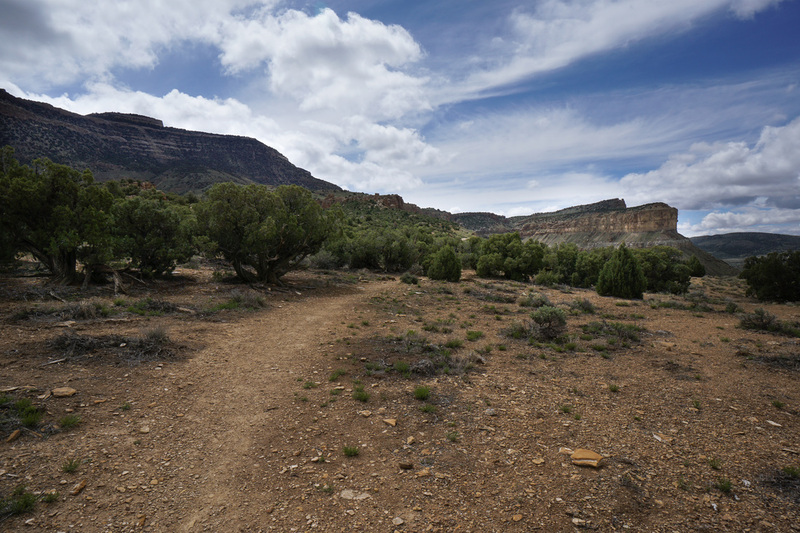 The trail stays on the flat mesa top weaving through juniper and sage bushes and hugging the rim from time to time. 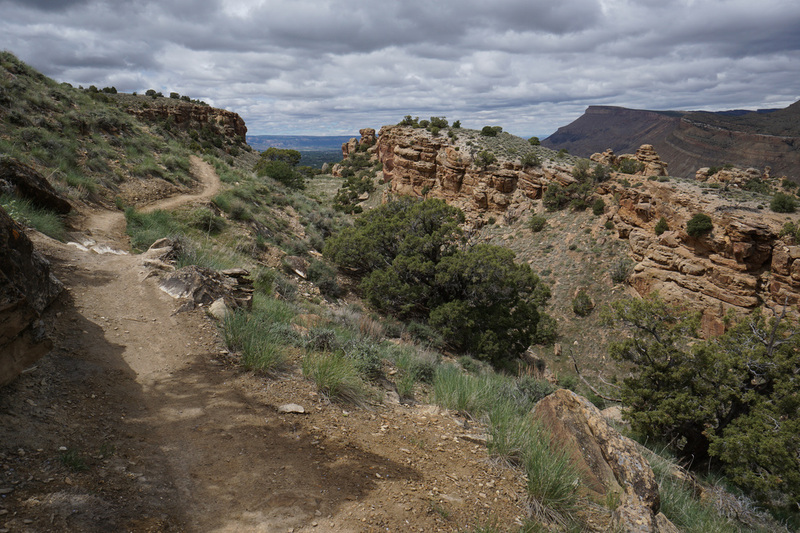 When you reach the start of the lower loop, I suggest staying to the right and hiking the trail counterclockwise. 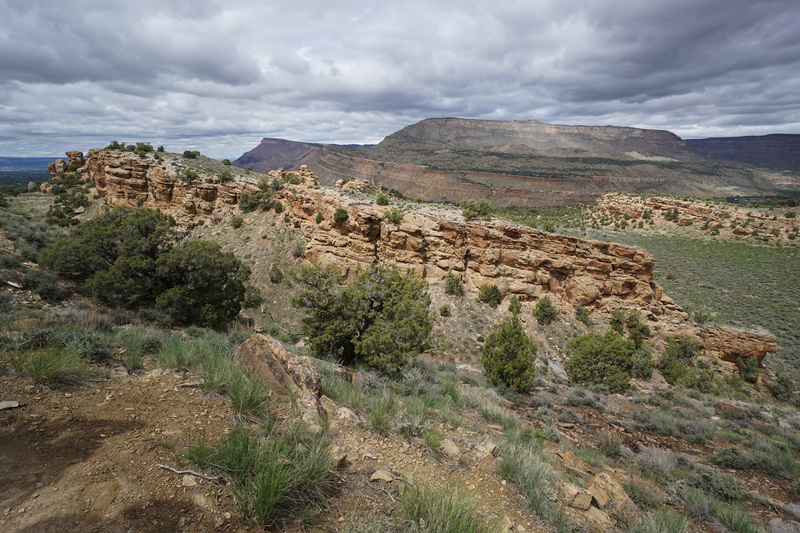 The views continue and get even better as you gradually climb along the rim. 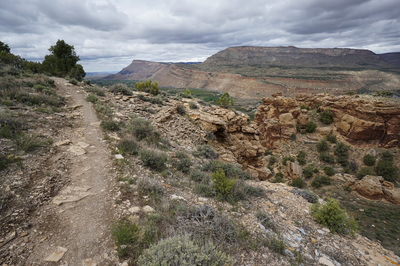 When you reach the junction for the upper trail connector, I strongly suggest that you take this trail, you add a bit more than a mile to the hike, but the views are phenomenal, including interesting rock formations, hoodoos, and a grander view of the Grand Valley. 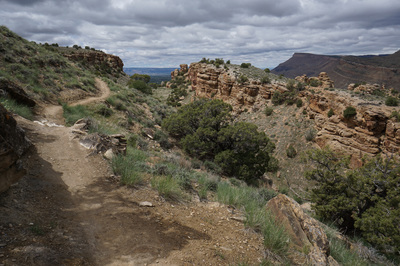 A good turn around point is the trail marker for the loop trail which just happens to be located next to a terrific viewpoint. 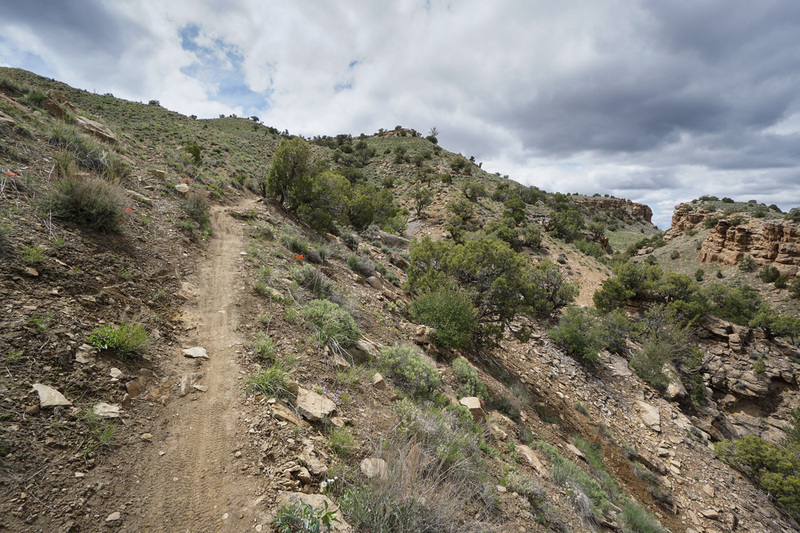 As you start heading back down, be sure to finish the lower loop. 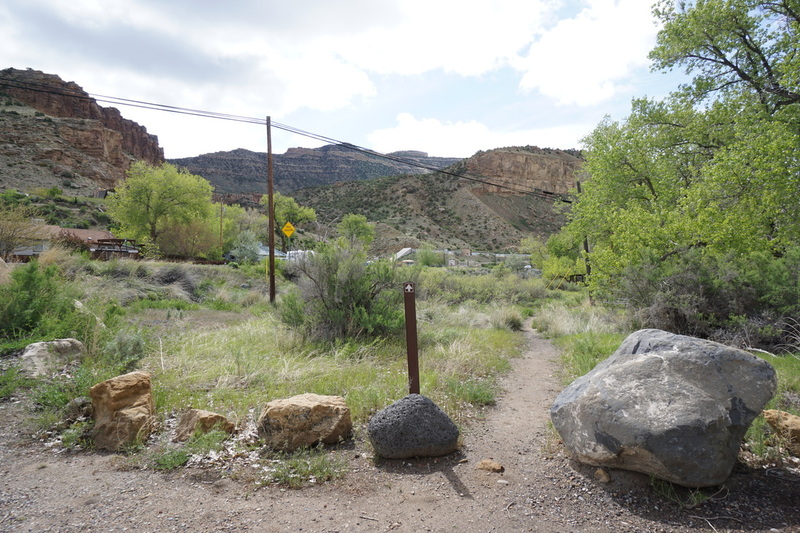 You have many options for post hike refreshments in Palisade but I suggest the Palisade Brewing Company or Peach Street Distilleries. From either patio, you can look back to the Palisade Rim with Grand Mesa towering above and enjoy a well-earned sense of accomplishment.